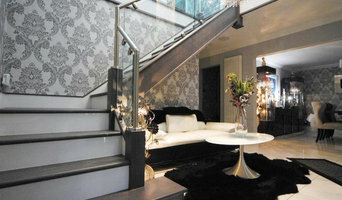 Designers and manufacturers specialising in bespoke staircases, balustrades and canopies made in the UK. First Step Designs was founded so that we could show real design and build knowledge in the art of 'staircase renovation' and 'staircase design'. Instead of the typical salesman approach, our clients deal with real designers who create bespoke solutions to staircase design and renovation and handle all their clients with a personal touch. No administration, no false promises, sheer honesty and breathtaking design work! A First Step Designs staircase allows our clients to completely redesign their current staircase with no structural work needed, minimal disruption to your home and our work is usually complete within 1-2 days. We offer a huge product range to choose from and also like to make real bespoke solutions to make your existing staircase one of a kind. Our new staircase service works similarly but we have more freedom to be creative and design the most bespoke solutions possible, more like a piece of art instead of a staircase. We are happy to meet with clients free of charge to discuss ideas and pricing, or we offer a online quotation option if you are just shopping around for the right price. Each client is assigned a designer who project manages every aspect of the work, this includes full design, CAD service, survey and sale... The only other employees you will deal with is the installation team on the day of the fit! About Clive Durose. Clive Durose specialise in fine woodwork and have been making beautiful hand rails and Complex timber parts for over 30 years. We have dedicated ourselves to the creation of unique designs which combine superior craftsmanship and aesthetic appeal to ensure that any staircase made with these parts is distinctive and outstanding. Being certified to FSC® and PEFC® certification standards, timber is selected from environmentally responsible sources. Customer service is a cornerstone of our business. We pride ourselves on meeting exacting standards of quality, design and delivery, ensuring that we offer a totally professional service for all of our customers. 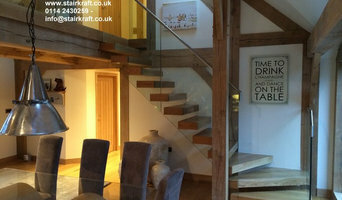 Staircase designs also vary greatly – from the offbeat to the grandiose – making it imperative that you work with a New Mills, Derbyshire, UK designer who understands your style and can work to your budget. 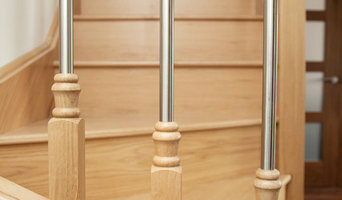 From treads and risers, to balustrades, banisters and handrails, the New Mills, Derbyshire, UK professionals in this category can design, supply and install stairs or the components that will complete your stairway to heaven. Whether you need to replace a handrail, want to update your glass balustrade, or need a complete stair installation, there’s a professional in New Mills, Derbyshire, UK who can help you through the process, from start to finish. 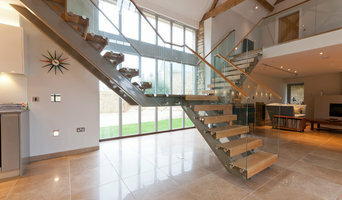 Find New Mills, Derbyshire, UK manufacturers, suppliers and installers of stairs on Houzz. Scroll through this page to find companies that manufacture, supply and install stairs in your area. You can browse their portfolios, read reviews and see how other tradesmen and homeowners rate their customer service, expertise and product. Here are some related professionals and vendors to complement the work of staircases & balustrades: Architects, Interior Designers & Decorators, Carpenters, Design & Construction Firms.